The Kraken SUPs are extra wide providing incredible stability for paddlers of all sizes and abilities. These boards are a great all-around choice for flatwater cruising and surfing. 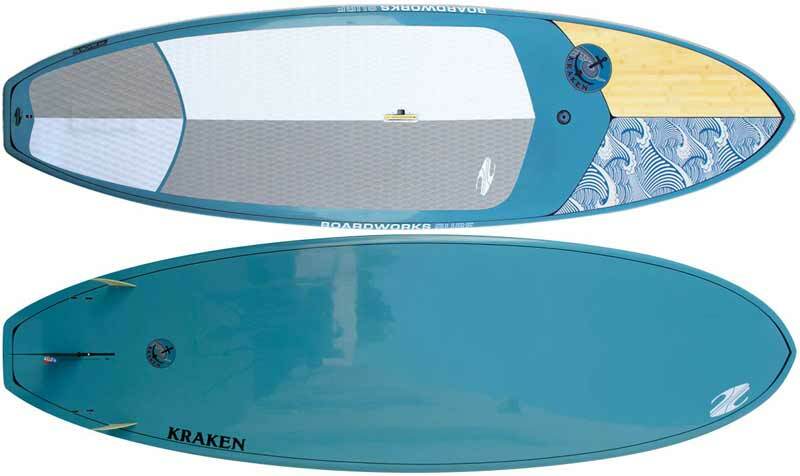 The NEW Kraken 11'0″ is luxury cruiser with amazing surf abilities. At 32″ wide, it is narrower than the 9'9″ and 10'3″ and has longer running length for increased glide. Like the smaller models, it has a pulled in nose and tail with thinned our rails for excellent performance in the surf. DIMENSIONS: 10'3" x 34" x 4 3/4"